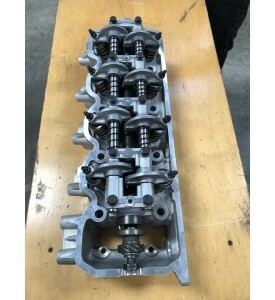 NEW: G54B Non-Jet Cylinder Head. COMES COMPLETE WITH NEW MECHANICAL ROCKER ARMS AND ROCKER SHAFTS !! $80.00 upgrade to Stainless Steel Valves. 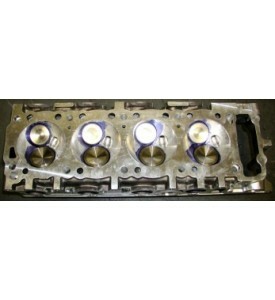 Upgrade to Steel Shim Head Gasket add $60.00. As above but complete and assembled with NEW heavy duty valve springs, retainers, keepers, NEW camshaft (stock or performance cam) valve stem seals, complete head gasket set with all needed gaskets including heavy duty head gasket, and new heavy duty head bolt set. As above but complete and assembled with Street Port and Polish, Stainless Steel Intake and Exhaust valves, ARP Head Studs, Steel Shim head gasket. 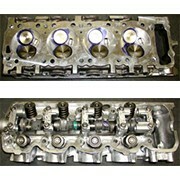 This is the exact head we use on all our Performance Street Engines.